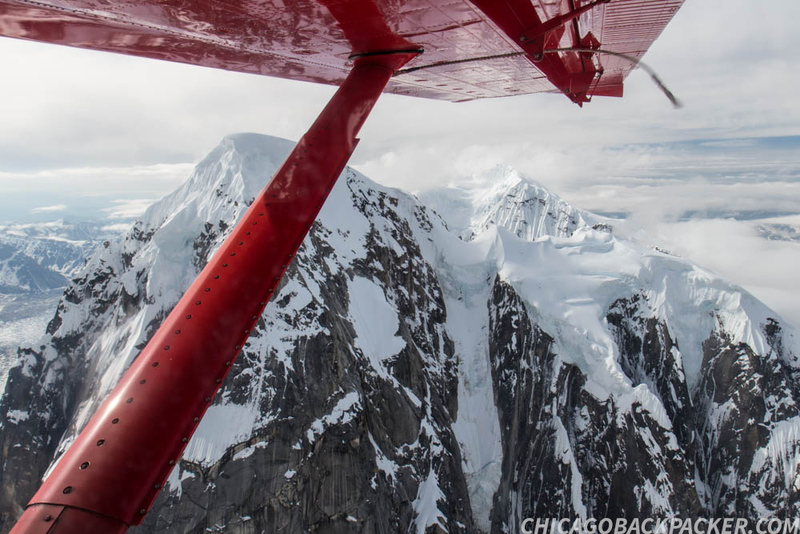 Denali National Park from the sky. This was like nothing I had ever seen. 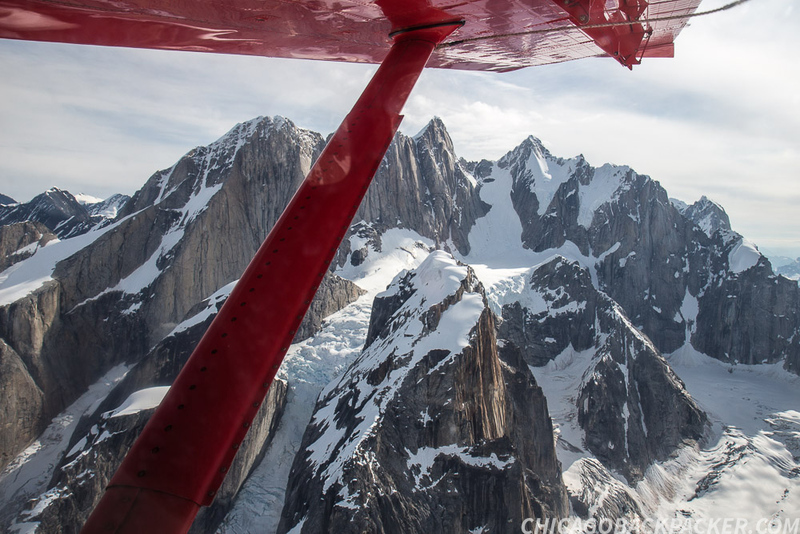 I went on a flightseeing trip over the majestic snowcapped mountains of the Alaska Range. And only from the air, I learned, do you truly feel the immensity and scale of the high places of the world. It was mid-morning and my last day in Talkeetna. I signed up for the earliest flightseeing trip out with K2 Aviation, hoping the beat the low pressure system that was in the forecast later that day. The last few days have been clear, but this might be the last window I had before the mountains were once again shrouded in clouds and blizzards. 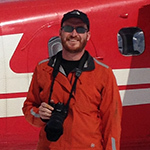 The pilot, Mike, greeted us at the airstrip, gave us a brief orientation, told us where the survival gear was on the plane, and had us board a small red 10 passenger plane next to the runway. We each put on headsets, and soon the plane lifted off of the ground. The trees below became a huge green carpet as we flew northwest across the silver braids of the Susitna. Up ahead, the high mountains slowly closed in. 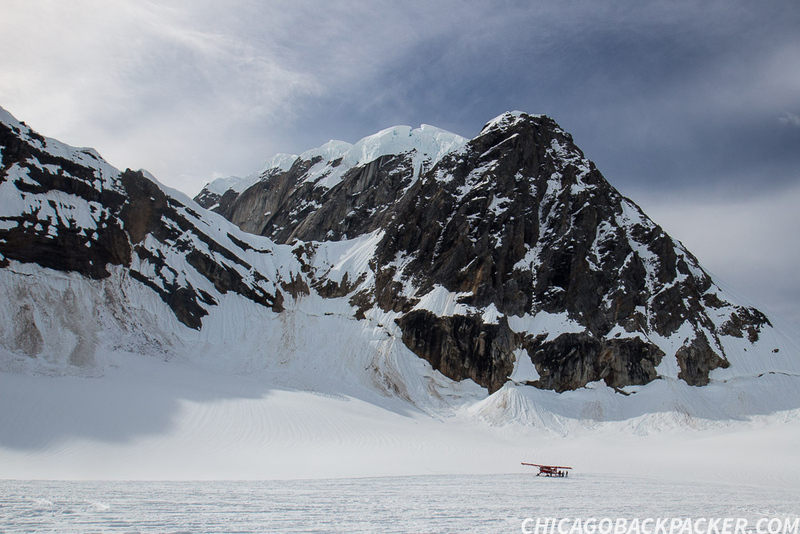 Soon, the spires of the Tokosha mountains were directly below us, split by glaciers and icefalls. 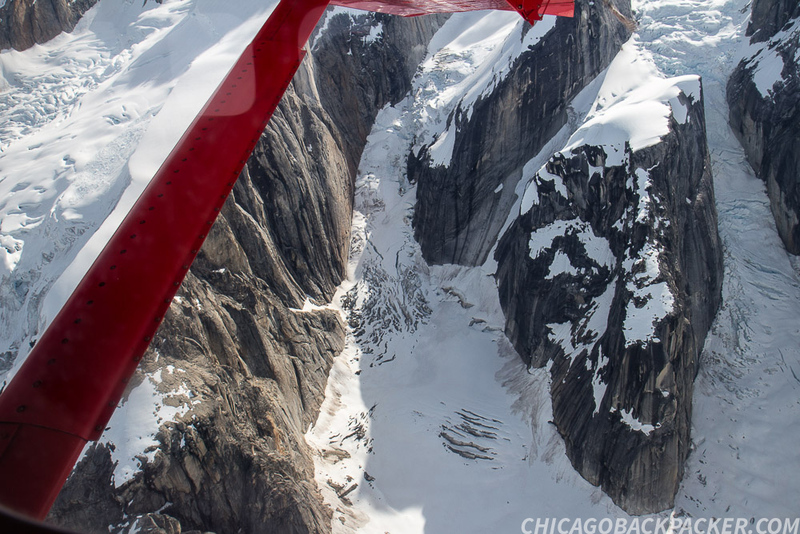 We flew across the huge arms of the Tokositna and Ruth Glaciers and into the Great Gorge, a section of the Ruth Glacier boasting granite walls of 4,000ft of sheer relief. 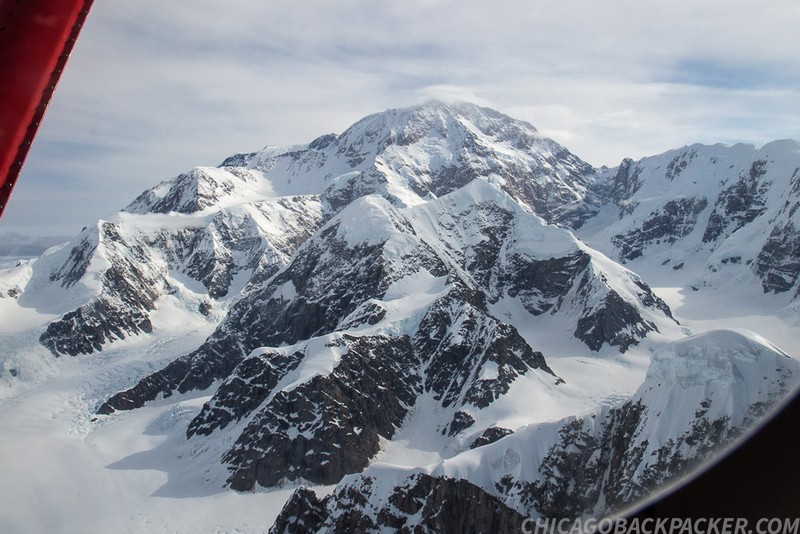 Up ahead, Denali, Mount Hunter and Mount Foraker slowly approached under a thin band of cirrus overcast. 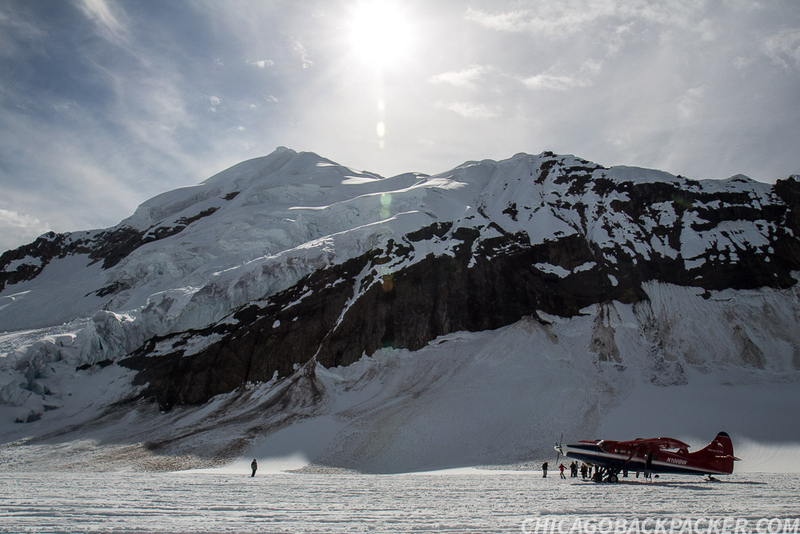 Mike named off each mountain and glacier and we asked him questions with our headsets. 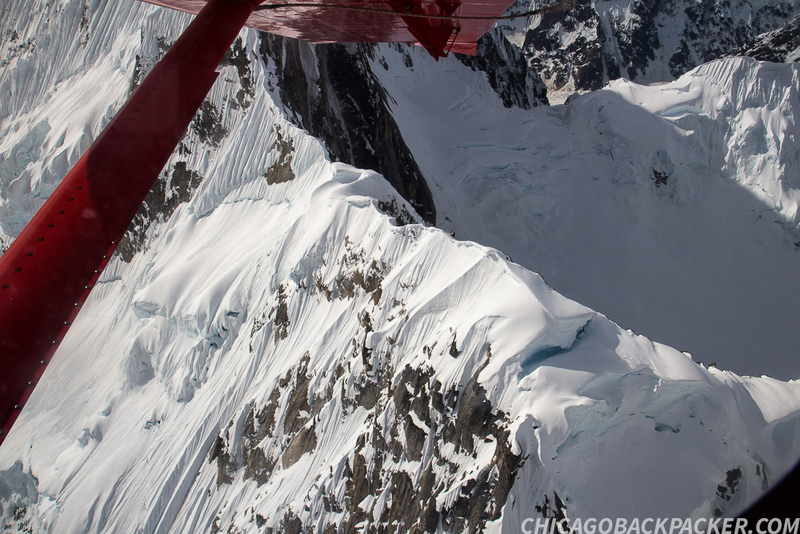 He pointed out the Kahiltna Basecamp far below, where mountaineers were gearing up for the first stage of a Denali summit. 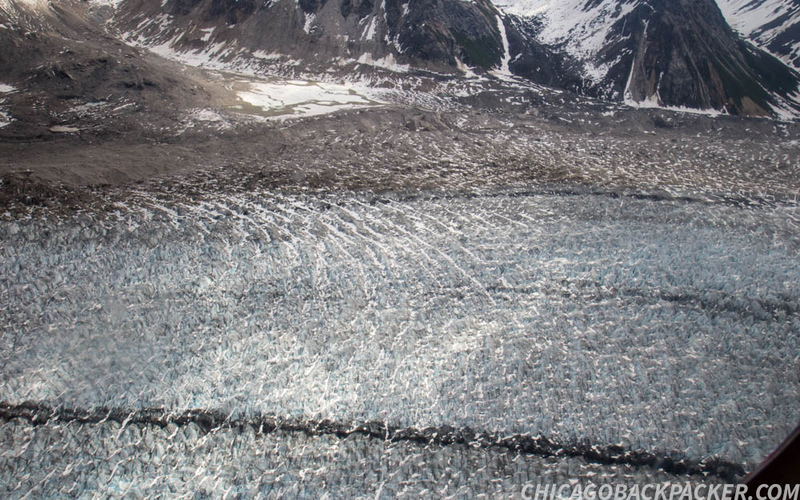 Numerous tents and people could be seen dotting the white blanket of the glacier. 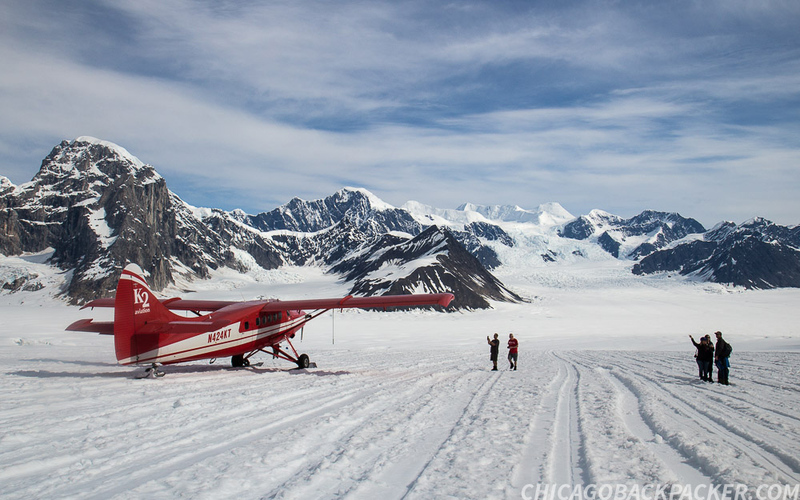 We circled back and made for the Ruth Amphitheatre, a large snow covered section of the upper Ruth Glacier, and a popular landing site for the flightseeing trips. When I got out, the panorama was fantastic. 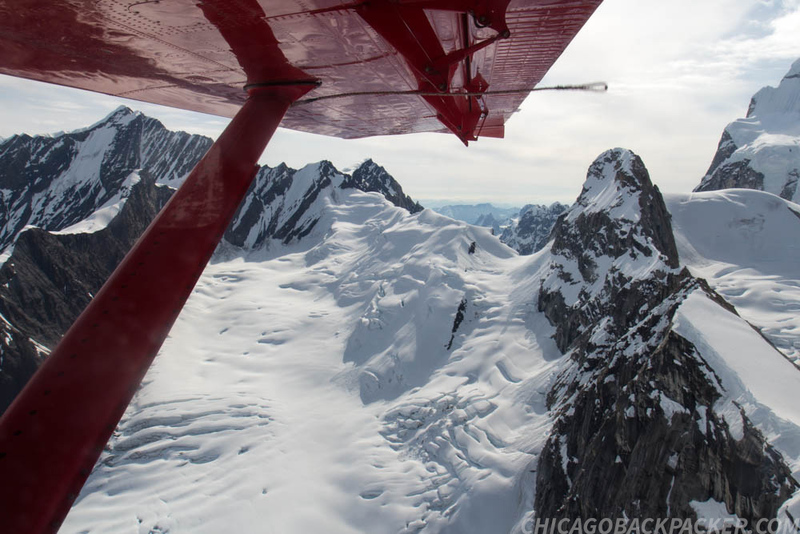 High, ragged mountains, ice and snow surrounded us as we walked around the plane taking pictures. All while plane after plane landed and took off from the makeshift runways. 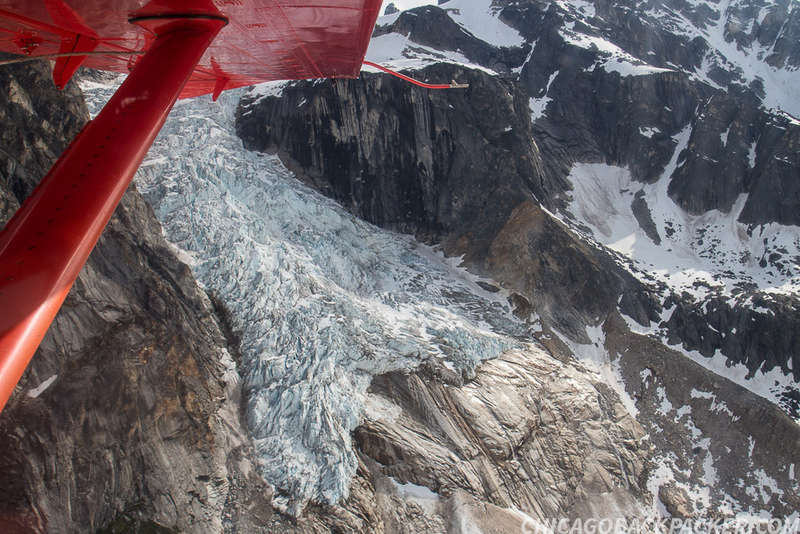 As we flew out, the lower Ruth Glacier was laden with thousands of crevasses, like the scales of a giant fish. I asked Mike how far down they can go. He said they can often be up to 200 feet deep. This was a wonderful, hostile wilderness that ultimately must be respected and remembered. Soon, I was back in Talkeetna getting food and boarding the southbound train for another adventure. 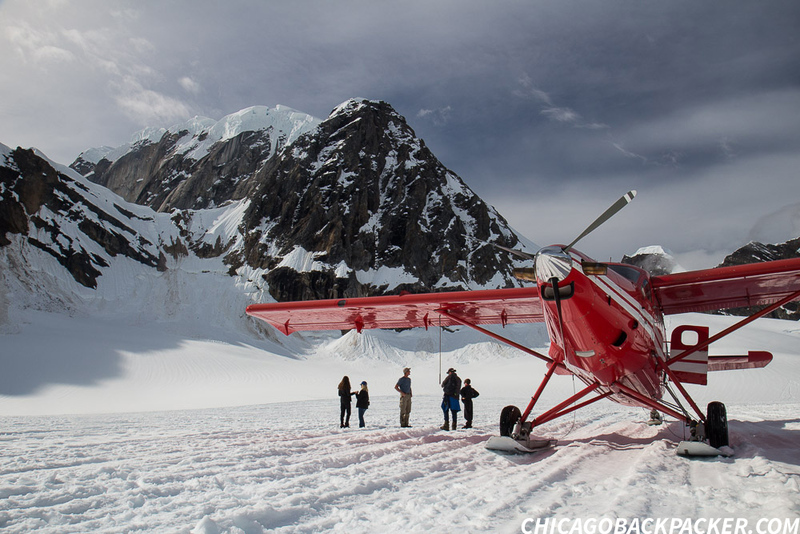 Whether by ground or by air, my two week visit to Denali National Park was the trip of a lifetime. This story continues on the Seward Highway.